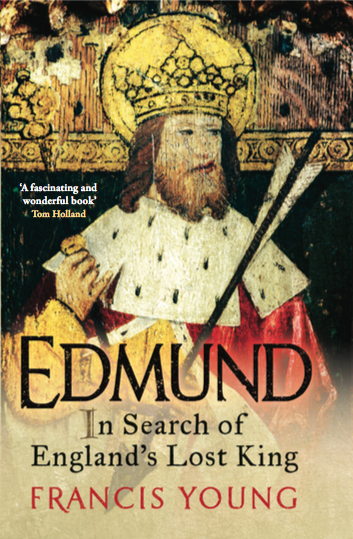 Today is publication day for my book Edmund: In Search of England’s Lost King. In addition to being a biography of King Edmund of East Anglia (d. 869), the book is the first complete account of the search for the mortal remains of the last Anglo-Saxon king of East Anglia, who may still be buried somewhere in the remains of the Abbey of Bury St Edmunds. Furthermore, the book is the first to outline the process by which Edmund became the patron saint of England. The book seeks to separate what we know about the historical Edmund from the myths and legends that later built up around the king, and traces the events that made Edmund the patron saint of England – a status he held for centuries that has now been largely forgotten. It is my argument in the book that the martyr-cult that grew up around Edmund after his death in the ninth and tenth centuries played a crucial role in the formation of an English national identity in the aftermath of the Viking invasions. The book makes the case that no single figure (with the exception of Alfred the Great) is more important to understanding the origins of England and Englishness than Edmund of East Anglia. The book is being published at an especially exciting time in the centuries-long search for the body of St Edmund, since St Edmundsbury Borough Council (which owns the site of the Abbey) has just been granted permission by Historic England to relocate tennis courts on the site of the monastic cemetery at the east end of the Abbey Church. This monastic cemetery, as I argue in the book, is one of the most promising sites for an archaeological search for the iron box in which the saint’s relics were hidden in 1539. The book lays out the case for an excavation in the tennis courts area and explains how Edmund’s remains might be identified if found. It is my hope that the book will introduce Edmund and his immense significance to English history to readers unfamiliar with this saint, who today is largely forgotten beyond East Anglia and the town that bears his name. 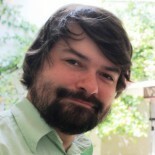 This entry was posted on April 26, 2018 by jacobite.